...is the monitoring of the behavior, activities, or other changing information in your operating environment. This monitoring can be passive or active, overt or covert. It can be performed by a security professional who is trained to observe and report, a licensed investigations professional, or through a variety of optical and electronic devices. Surveillance can happen in real-time, near-real time, or the video collected can be stored for future reference. The difference between the three are quite important from a security perspective. Real-time allows for immediate intervention if required, while near-real is usually a way of saying that nobody's watching, but an alarm will tell me when to look. The storing of video is usually only used for forensic purposes - who did what when. It has a limited deterrence capability. 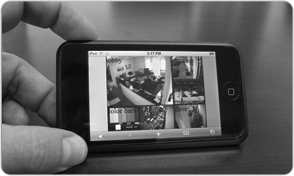 Surveillance can be done physically, on-site or remotely. The latter capability represents a marriage between digital cameras, wired, and wireless technologies. Gone are the old days of CCTV. Better cameras, analytics, and IP protocols, are opening up the door to a convergence between physical security, video surveillance and information technology. Many duties that had been handled by guards and mobile patrols can now be transferred to a Security Operations Center (SOC) where experienced operations personnel remotely manage your security and any incidents that may happen. We have augmented this capability with a physical response from our mobile patrol fleet. Using GPS technology the SOC are able to identified the closest car to respond to suspicious activity. In the event of a verifiable criminal incident, police are also dispatched.